Based on SUN FAST, 1/2 ton racer, prototype. Keel/cb version was also available. Displacement: 6835 lbs./ 3100 kgs. Ballast: 2912 lbs. / 1321 kgs. 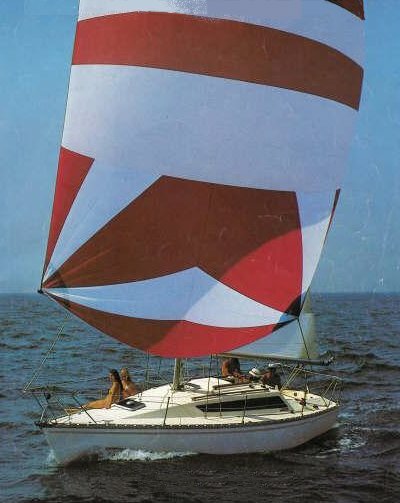 Reintroduced as SUN DREAM 28 (1987). Later became SUN WAY 28 which was built until 1992. Of all versions, it is thought that more than 800 were built.